Any notion of Christian perfection is quickly dismissed by most Protestants. The Wesleys are held in great regard, but heads shake over their teaching on what is usually referred to as “sinless perfection.” That is not helped by the way the nineteenth-century holiness movement was shaped by its revivalist subculture to reduce everything to “second blessing.” What could be more irrelevant to today’s generation, struggling to come to terms with the challenges of world poverty, child abuse, high school shootings, the revived nuclear threat, and global warming, than a bunch of pietists debating how many “blessings” there are in their ordo salutis? Holy Trinity: Holy People was written to do two things. The first is to present and clarify exactly what John Wesley taught about what is better called “Christian perfecting.” The second is to show that this is not an odd sectarian hobby horse but is firmly based in the central Christian doctrines of incarnation, atonement, and Trinity. As a preliminary, the first chapter looks at theological method, and particularly the roles of Scripture, tradition, and what is called “rational spiritual experience” in the hermeneutical task of shaping doctrine. Christian theology is Trinitarian in shape, centred in the confession that “Jesus Christ is Lord.” Our understanding of our own sanctification therefore must be articulated within that Trinitarian framework. It is the latter part of the book that may claim a certain originality. It attempts to ground all talk of Christian sanctification, which is always in danger of sinking into anthropocentric subjectivism, in the great objective realities of the faith. But it cannot proceed without clarifying what Wesley actually taught, particularly about this biblical word he refused to drop: “perfection.” After a necessary clarification of what the word perfection does and does not mean and a plea to substitute in its place the term perfecting, the second chapter briefly summarizes relevant works by biblical scholars. The third chapter looks at the teaching of Christian perfecting down through the centuries, selecting Athanasius, Clement of Alexandria, Pseudo-Macarius, Gregory of Nazianzus, Bernard of Clairvaux, and Thomas Aquinas as the most significant major figures. But it was Augustine, the great theologian of love, who truly shaped the whole Western tradition. While at least one aspect of his doctrine of original sin is unbiblical (its sexual transmission), his acute psychological insight into human motivation helps us to see that it is what we love that shapes our motivation and therefore our actions. If we love the things of this world and are dominated by merely human goals and values, centering our lives around our own satisfaction and promotion, that love is concupiscentia or cupiditas. If, however, “the love of God is shed abroad in our hearts by the Holy Spirit who is given to us” (Rom 5:5, Augustine’s favorite text), then that love is caritas, enabling us to love God with all our hearts and our neighbors as ourselves. Unfortunately, despite this insight that shaped Western spirituality, Augustine then defined Christian perfection in terms of sinless performance. It was left to Bernard and Thomas to define perfection in terms of love and to identify rungs on the ladder (scala) of perfection, clarifying that while we never reach sinless perfection in this life, our hearts can be filled with the love of God – which they identified as a degree of perfection in love. Luther and Calvin were somewhat suspicious of talk of perfection, given the corruption among the so-called perfect of their day in the monasteries, but Calvin at least accepts a measure of it. Wesley then emerges as the one major figure in the history of the Christian church who attempts to bring together in conjunction the justification by faith of the Reformers and the ancient patristic and medieval teaching on perfection. However, there are various difficulties in seeing the coherence and clarity of his teaching. The first is that he never laid it out systematically. Even his treatise, A Plain Account of Christian Perfection, a classic of Christian spirituality, is not all that plain. As an attempt to demonstrate that he had taught this doctrine for forty years, it is repetitive. I attempt, then, to lay out his doctrine systematically, using the language of Christian perfecting to emphasize the relative perfection he is talking about. The lowest level of perfecting is that of the newly regenerate Christian, who (Wesley maintains) “does not commit sin” (1 John 3:6, 9). That of course immediately provokes cries of sinless perfection. But Wesley softens that startling text by his definition of sin as “a voluntary transgression of a known (written) law” of God. He is not saying more here than any other Christian teacher, namely, that Christians do not go around lying, stealing, murdering, cheating, or engaging in sexual license. Such things can happen, but this is not the way we live. What is often missed by his critics is his teaching that “involuntary transgressions” – that is, error, real wrongdoing, and not just trivial “mistakes” – continue even in the holiest until they die, so that confession is a necessary discipline for every Christian. My ch. 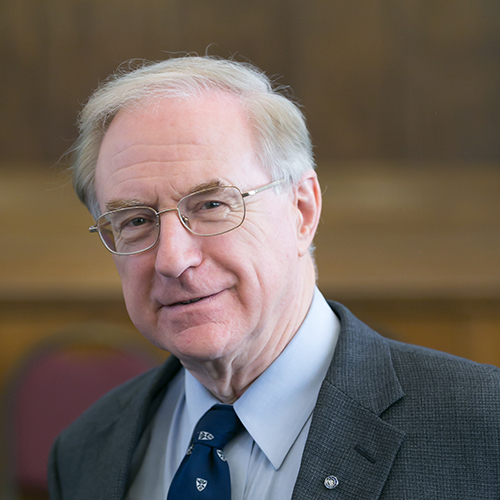 6 begins to tackle the question of how this Wesleyan understanding of an imperfect perfection is based not only historically in the tradition of the church catholic, but in the all-embracing dogma of the Christian faith that embraces all other doctrines, namely, the doctrine of the Trinity. That means beginning with the Economic Trinity – that is, the Father’s revelation of himself in Christ by his Spirit in his salvation of the world. This chapter therefore begins with the doctrine of the atonement. Dismissing the obsolete nineteenth-century notion of rival theories, it groups the biblical models for the atonement around the traditional offices of Christ as king, priest, and prophet. As victorious king, he defeats not only the power of evil without, but our enslavement to sin within. As self-sacrificing priest, he not only secures our justification by his propitiation from justified divine wrath, but our sanctification by his expiation of our sin. The whole Anselmic tradition of the West has concentrated on the atonement as securing pardon for our sins (plural), but the priestly sacrifice of his own human body goes beyond that. Pardon or justification is a miracle, but the atonement must go deeper. It must secure the crucifixion – the expiation or obliteration – of the old sinful anthropos, the corporate body of human sin, so that up from the grave may come in resurrection life, the new Anthropos. Otherwise, we can never stand redeemed and sinless at the Last Day. Christ is also the unique prophet who not only declares but is the definitive Word of God. Our great prophet’s revelation of the reality of the atonement objectively achieved by our king and priest, and indeed of the God of Holy Love revealed there, evokes the love of our hearts. Perfect love, that is, undivided love integrating the motivation of the whole believer, is thus a fruit of the atonement. But the place of the atonement within a fully Trinitarian theology can only be secured by anchoring the atonement within the incarnation. Western Christian theology has rightly focused on Christ crucified, but too often it has isolated the cross from the full sweep of the gospel story encapsulated in the great Christological hymn of Phil 2. Chapter 7 of Holy Trinity, Holy People therefore tries to root our understanding of the work of Christ more fully in the person of Christ. The sanctification of human nature was achieved not only by Christ, but in Christ. Chapter 7 explores Paul’s assertion that Christ not only died “for our sins” (1 Cor 15:3); but that Christ “died to sin” (Rom 6:10). What can that possibly mean? The pivotal importance of the incarnation is examined by exploring three statements: that Christ sanctified our humanity by assuming it, that Christ sanctified our humanity by living in it, and that Christ sanctified our humanity by crucifying it. The doctrine of the Greek Fathers that the Son of God assumed our fallen humanity precisely in order to sanctify it is explored from Irenaeus, Athanasius, and Gregory Nazianzen. To the sanctified and sinless human nature of Christ is added the sanctification of our human life in his daily ethical experience, “tempted on all points as we are, yet without sin” (Heb 4:15). Christ is thus in one sense the only entirely sanctified human being – from conception and birth to sacrificial death. That brings us back to the cross, where his life of holiness culminated in the ultimate and definitive denial of “the self-centered mind-set” in his obedient self-sacrifice. The old humanity died and was buried in his tomb in order that the new humanity might rise perfected (Heb 2:10; 5:9). Chapter 8 turns to what we must therefore say about the work of the Spirit, seeing that in the light of the paradoxical already-but-not-yet eschatology of the NT. The Spirit was active in the birth, baptism, ministry, death, resurrection, and ascension of Christ. On the day of Pentecost, the ascended Christ then baptized his church in the Holy Spirit sent from the Father. But the life of the apostles has to be understood in the light of the paradox. They were born into “this present evil age”; then, when they were with Christ, the Spirit was with them (John 14:17; cf. 7:39). Once the exalted Christ poured out his Holy Spirit on them at Pentecost, the Spirit was in them, mediating his presence, and empowering them to walk the way of holiness which is the way of the cross. They were not yet in the resurrection body: they still suffered, they still had to confess their faults and failings and how far they fell short. But the Spirit had come in his fullness, and their hearts could be filled with his perfect love. As Jesus lived with a pure heart, obeying the Father in the power of the Spirit, so could they. This, it is argued, is still the paradoxical reality of Christian holiness today. The final chapter turns from the Economic Trinity to the Immanent Trinity – God as eternally Triune. After a brief account of contemporary Trinitarian debates, and a brief exploration of the resources on the Trinity in the Wesleyan tradition, this chapter considers the holiness of the Holy Trinity. Too often in the past the holiness of God has been understood only from the revelation of the OT. This has resulted in a merely monotheistic understanding of holiness as separation, and that has encouraged a Christian holiness of exclusiveness and withdrawal. The full Christian doctrine of God must however be Trinitarian, so we must ask whether it is sufficient to think of God’s holiness merely as separation. If so, how could God be holy before there were sinners to be separate from? The full revelation of God the Holy Trinity helps us to progress to an understanding of God’s holiness as holy love – the love of the Father for the Son and the Son for the Father within the fellowship of the Holy Spirit. (Echoes sound once again from the great Augustine.) Christian holiness therefore cannot be understood in merely individualistic terms (as it too often has been), but as only possible as the church corporately reflects the holiness of God as the image of the perfect love of the Holy Trinity. 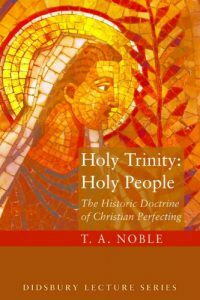 To sum up: Holy Trinity, Holy People claims that Wesley’s doctrine of Christian holiness as perfect love is in no way an eccentric pietistic hobby horse, but is based profoundly in the central convictions of the Christian faith – atonement, incarnation, and Trinity. Here is a doctrine of sacrificial yet triumphant love that not only accentuates the church as the community of divine compassion, but that casts the vision for a generation passionately concerned to be part of God’s loving mission to the world.